The Mélia Castilla is strategically located in the city centre, a few metres from the Paseo de la Castellana and close to Real Madrid’s Santiago Bernabéu Stadium. The hotel is located within a comfortable environment, surrounded by popular commercial streets and convenient transportation. Its 915 bedrooms and more than 79,000 sq. 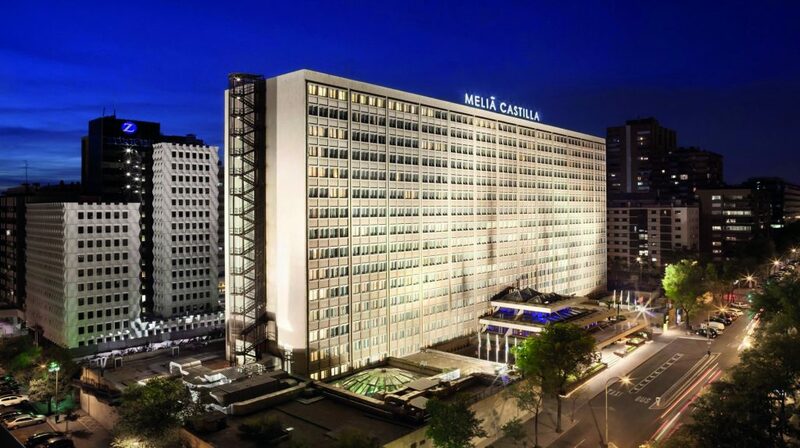 ft. of meeting space, makes the Mélia Castilla the largest hotel in Madrid. Madrid is the capital of Spain and its largest city. The population of the city is roughly 3.3 million and the entire population of the Madrid metropolitan area is calculated to be around 6.5 million and is the third-largest city in the European Union. As the capital city of Spain, seat of government, and residence of the Spanish monarch, Madrid is also the political, economic and cultural centre of Spain. Madrid is served by highly developed communication infrastructures, making the Spanish capital the leading logistics hub for both Spain and all of southern Europe. It also boasts a network of motorways, encompassing both ring roads and radial roads, and provides the backbone for Spain’s railway network, thereby providing effective connections with not only other parts of the region, but also the rest of Spain and Europe as a whole. Madrid is also home to the Madrid-Barajas airport, Spain’s flagship airport and one of the largest in the world.